It's time to go, the owners are selling up and leaving town. Fortunately someone will benefit from the vast upgrades undertaken recently. 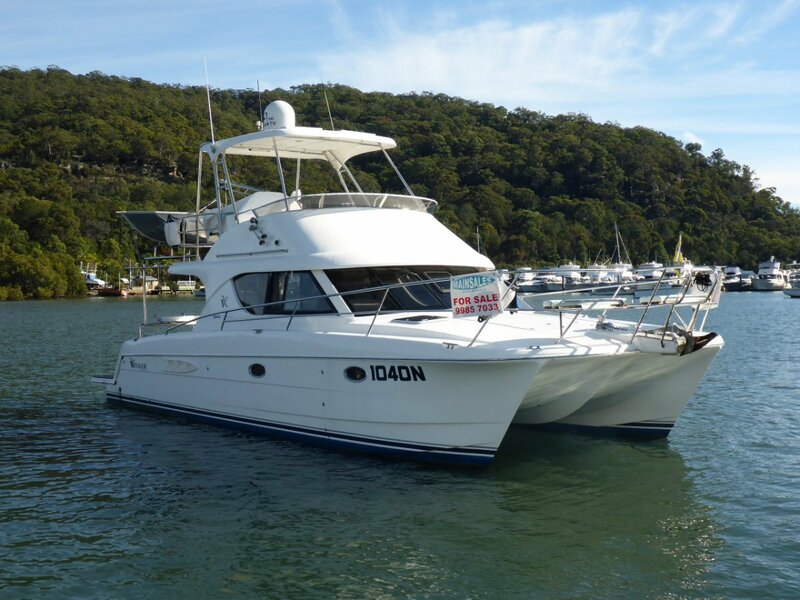 The Voyager 1040 Discovery is regarded by many as one of Australia's best multihulls offering stability, space combined with privacy and comfort for all on board. The Discovery offers three double sleeping cabins, dual steering stations, stability, volume and great handling ability, ticking many of the required boxes. Powered with twin Steyr 166 hp shaft drive diesels showing 710 hours at time of listing and a near new 8 KVA genset all just serviced including the cooling systems on both engines. "Serendipity Too" is something to be proud of with nothing spared on this immaculate vessel. Documentation is available to support the following. Steering wheels saloon & flybridge. Your inspection is recommended on this unique vessel. Please assist us in helping you as our vendors are encouraged to use their boats whilst they are for sale. To avoid delays or disappointment please arrange a suitable inspection time with us so we can ensure your visit to Mainsales is productive, thank you and hopefully we see you soon. User friendly, saloon level, great storage with a sensational outlook.